Carole has a BA in Music (Voice), an MA in Education (Special Education), and California State Teaching Credentials in the following subjects: Music Education, Special Education (Learning Handicapped and Severely Handicapped), Adult Education, and a Diploma in Professional Modeling. She is a graduate of Bible Study Fellowship, has studied the Pentateuch in Bible college, participated in Women of the Word, and has completed eight years of study in Community Bible Study. Carole taught music and special education in public schools and with her husband, Jan, co-directed and traveled with the River City Good Time Band, an internationally acclaimed music group of developmentally disabled adults. Carole has been in fulltime music ministry since 1986. The Brewers traveled through Israel and Jordan with Crossroads Ministries in 1996. As a seasoned and well-trained musician, Carole is enjoying the opportunities she has to sing and record her original songs, lead others in songs of worship from the piano, and teach the art and joy of effectively communicating the Gospel through singing. Voice training. Currently, Carole is a soloist with Winds of Faith, a 45-piece symphonic band performing in the Greater Sacramento Area. 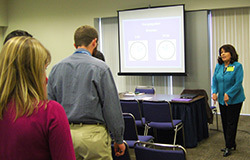 She also continues to incorporate her music into her uplifting speaking presentations. November 5, 1984 on the California State Capitol Steps in Sacramento for President and Mrs. Reagan, Frank Sinatra and thousands more - the day before President Reagan's 2nd election. Singing in the Princess Theater, Carole gives her rendition of Wind Beneath My Wings accompanied by the Ruby Princess Orchestra. Voice of the Ocean is affiliated with the popular TV show, The Voice. 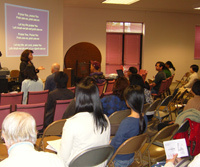 Carole leads women in worship and sings "You Raise Me Up"
Take your singer's artistry and confidence to the next level! You will learn and practice easy to understand, concert-tested techniques for breathing, singer's diction, stage presence and much more! View Voice Seminar excerpt: "How We're Built to Sing" below. Got air? 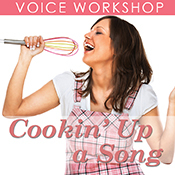 Join us for a fun-filled class based on the popular voice manual, Cookin' Up a Song by singer/speaker Carole Brewer. 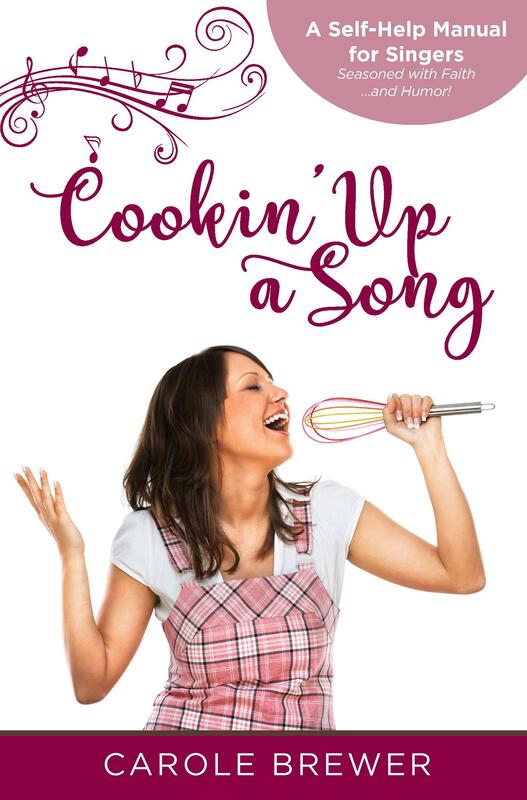 You’ll learn Carole's innovative, easy to understand, concert-tested "recipes" including well-baked breathing, relax al dente, and good vibrations. All great singing starts here! Got lyrics? How often have you heard someone say they liked the song but couldn’t understand the words? Take the next step to developing your vocal artistry and sounding like a pro. Great communication starts here! Got nerves? Practice with Carole as she presents several important “recipes” for engaging an audience and for being an effective communicator. Great appearance starts here! How We're Built to Sing! "I have read and thoroughly enjoyed Cookin’ Up a Song. It’s a great book!" "I read the book and I LOVED it! What a blessing it is to have someone write with the Lord as the focus and in such a practical way. Praise God!!"